Uber spied on and bribed foreign officials, infiltrated private chat groups, stole trade secrets, and abused secret messaging apps and attorney-client privilege to obstruct government investigations, according to a former employee. "While we haven't substantiated all the claims in this letter-and, importantly, any related to Waymo-our new leadership has made clear that going forward we will compete honestly and fairly, on the strength of our ideas and technology," an Uber spokesperson said in a statement. In an unusual move, the Department of Justice alerted the judge overseeing the lawsuit, William Alsup, to the existence of the letter on November 22. 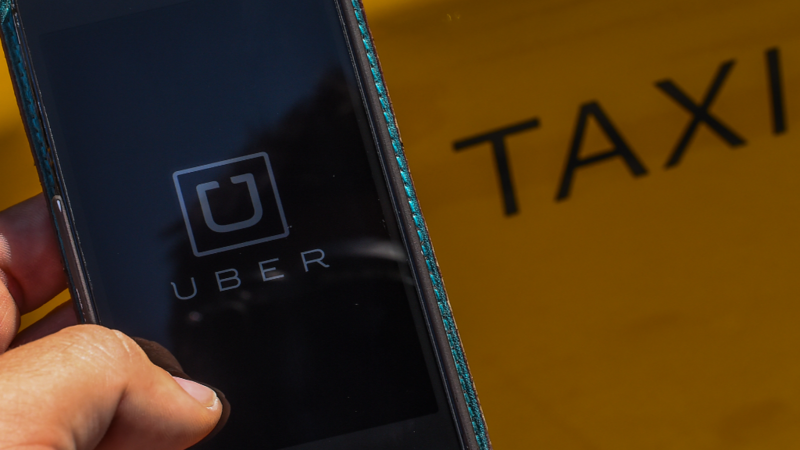 By sharing it with Judge Alsup, the DOJ revealed that Uber is the subject of at least one criminal investigation, a court document released this Wednesday confirmed. No details about the investigation have been made public. The Department of Justice declined to comment. --Uber used CIA-trained independent contractors to collect foreign intelligence, Jacobs alleges. He says they conducted "foreign espionage against a sovereign nation" (the country's name was redacted) and collected metadata from the mobile phones of "opposition figures, politicians and government regulators." Uber also recruited undercover agents and infiltrated closed social media groups for taxi drivers and drivers working for competing companies, according to Jacobs. --Jacobs writes that his former company bribed foreign government officials, according to the letter. Jacobs claims Uber was targeting officials and gathering information that could ease enforcement activities or help Uber unblock markets. --Uber "implemented a sophisticated strategy to destroy, conceal, cover up, and falsify records or documents," says the letter. The company allegedly used a combination of disappearing messaging apps, untraceable computers, and excessive use of attorney-client privilege to impede government investigations and avoid discovery obligations, says the letter. --Uber conducted surveillance of executives from a competing company, recording video and audio at private events in locations like hotels, according to the letter. In one example, Uber's contractors recorded a private conversation between executives as they learned Uber was going to receive $3.4 billion in funding from the Saudi government. Jacobs says the human surveillance was directed by former chief security officer Joe Sullivan on behalf of then CEO Travis Kalanick. Kalanick did not immediately respond to a request for comment. Sullivan released a statement saying, "From where I sat, my team acted ethically, with integrity, and in the best interests of our drivers and riders." --The letter says Jacobs was aware that the company stole trade secrets "from at least Waymo," but he walked back that claim during a pre-trial hearing for the Waymo case on November 28 saying, "I don't stand by that statement." Jacobs said during the hearing that he only had 20 minutes to review the letter before it was sent. He did not respond to a request for comment. Updated Dec. 18 to add additional comments.